Dryers come in two types. One type heats by electricity, and one heats by gas. They both require electricity, so they both have plugs. However, the plugs for electric dryers carry electricity at a voltage of 220 volts, which is basically the same as 230 or 240 volts, so they have large, heavy-duty plugs. A gas dryer, on the other hand, has the same three-prong plug you find on all grounded 110-volt appliances. Electric dryers generally draw about 30 amps at a voltage of 220 volts, although large industrial models could draw up to 50 amps. The standard in 220v plug types for a 30-amp circuit is typified by the National Electrical Manufacturers Association 14-30, which accepts three conducting wires and a ground. Commonly known as the dryer plug because it's supplied with most new electric dryers, the NEMA 14-30 comes with four straight prongs or as a twist lock with four prongs. The difference is that the twist-lock model is more secure and can't come undone unless you rotate it. This is an important safety feature. Before the National Electric Code was updated to require a separate ground wire in all 220-volt circuits, dryer plugs had only three prongs. You might still see a dryer outlet for this type of plug in a house that predates 1990. It accepts a NEMA 11-30 plug, which may be straight prong or twist lock. A NEMA 11-30 three-prong dryer plug has terminals for two hot wires and a neutral but no ground terminal. This reflects the fact that before the change in the NEC, grounding in 220-volt circuits was accomplished through the neutral wire. You may live in an older house with a three-prong dryer outlet and buy a new dryer that comes equipped with a four-prong dryer cord. How do you plug it in? You have two options: You can retrofit the dryer cord for one that has three prongs, or you can use a four-prong to three-prong dryer adapter. You must bond the neutral and ground terminals in the dryer when making this change. 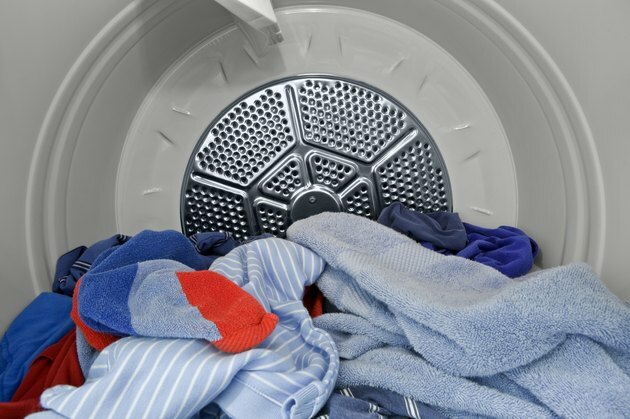 Similarly, what do you do if you move to a new house with a four-prong dryer outlet and bring along your trusty dryer that has served you so well for the last 50 years? How do you plug the dryer's three-prong plug into a four-prong outlet? You have the same two options: Retrofit the dryer cord for one with three prongs or use a three-prong to four-prong dryer adapter. In this case, you must attach the ground wire on the new cord or the adapter to the dryer body to ensure proper equipment grounding. If you have a large industrial dryer that draws more than 30 amps, you'll have to plug it into an outlet with an appropriate 50-amp receptacle. This is the NEMA 15-50 receptacle, a four-prong receptacle with two hot wires, a neutral and a ground. Whereas you can connect 30-amp plugs with 10-gauge wire, you need beefier eight-gauge wire for a 50-amp model. Gas dryers also need electrical power but only to run electronic controls, so the power doesn't have to operate at 220 volts. A typical gas dryer comes with a standard three-prong NEMA 5-20 plug. It has one hot terminal, one neutral and a ground and plugs into a standard three-prong, 110-volt receptacle.